Since 2013, Serenity Concepts LLC has been keeping homes safe from water damage caused by clogged downspouts and gutters. We are experienced in installing new gutters, repairing problematic gutters, cleaning gutters and installing gutter guards for a more permanent gutter solution. Serenity Concepts LLC's professionals help homeowners avoid wood rot and rust along the exterior of their homes. Regular gutter maintained is a worthwhile investment, considering the money that can be saved by repairing problems quickly before they lead to other home repairs. 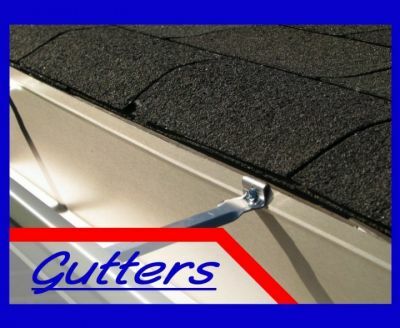 Unmaintained gutters can result in additional problems, such as: Erosion around the runoff site, dirt splashing on windows and siding, damage to plants, and damage to the home's foundation. Serenity Concepts LLC can clean your gutters and keep them in proper working order to avoid these yard and foundation issues. Call (262) 295-2145 today for a free quote on gutter repair or gutter replacement by the trusted professionals at Serenity Concepts LLC.